The Thunder part ways with Abrines after the latter spent the three seasons on the team. The draft pick used to select Abrines in 2013 was sent to Oklahoma City as part of the October 2012 trade between Oklahoma City and Houston. The Thunder now have 12 guaranteed players on their roster, and will need to sign 2 players within the next 2 weeks. 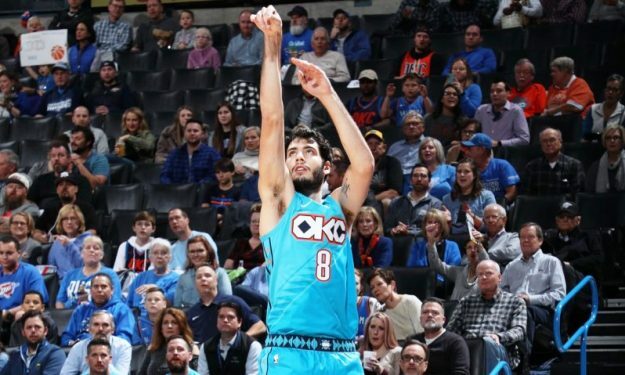 The organization has helped Abrines deal with his personal matter this season and intends to continue that support. Though he ultimately returned to the court on January 29 in Orlando, then played the following game in Miami, he was again out of the Thunder lineup in each of the last three contests due to personal reasons. Grantham and Burton are options to have their two-way contracts converted to National Basketball Association deals. The 25-year-old player had signed with the Thunder in 2016, after spending four seasons in EuroLeague with Barcelona. Abrines played in 31 games for the Thunder this season, starting twice, and averaged 5.3 points and 1.5 rebounds in 19 minutes per game. The hopes that Abrines could be that upgrade ended Saturday.